A narrow sandstone ridge served as a defensive entrance for the ruins perched on the isolated sandstone peninsula (behind the photo). The defensive nature of this site is evident in several ruined walls at the narrowest points on this ridge. 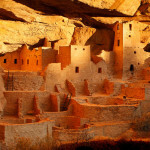 The famous ‘House of Fire’ ruin in Road Canyon. 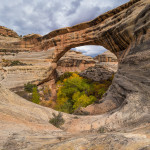 The bridge orange color is from an intense ‘bounce light’ reflecting from the sun-bathed surrounding sandstone. Another remote and difficult to reach ruin. This ruin has a unique staircase built into it. This is part of a series of ruins in an inaccessible alcove that would be impossible to hike to. 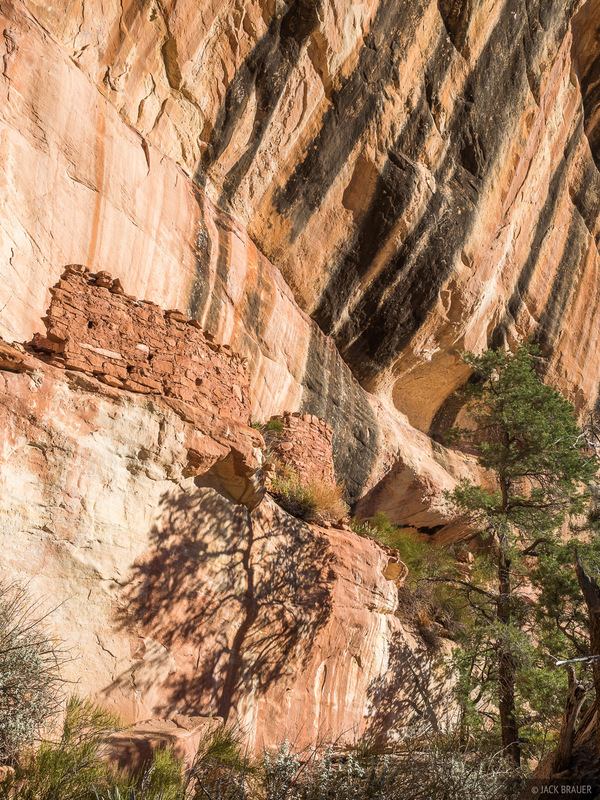 The photos above are just a few out of many more ruin sites on Cedar Mesa (see more photos here), most of which require hiking in rugged canyon terrain to visit. 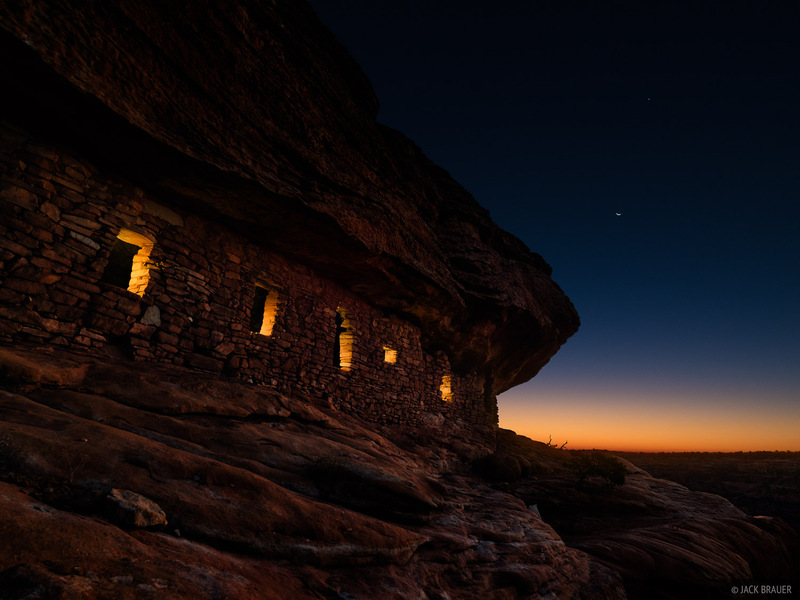 But this is part of the allure of Cedar Mesa — not only are the canyons themselves spectacular, but nowhere else can you see so many ancient ruins, petroglyphs, and pictographs in their natural wilderness setting. 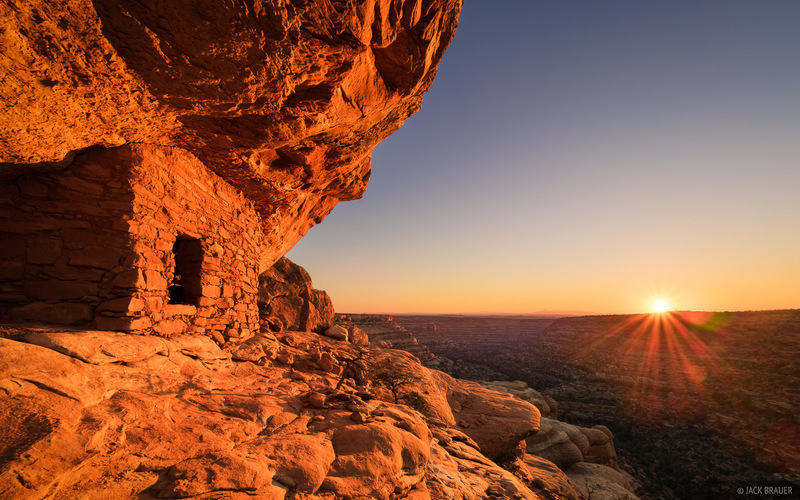 Today Cedar Mesa is managed by the Bureau of Land Management (BLM) but incredibly has no permanent protective designation! 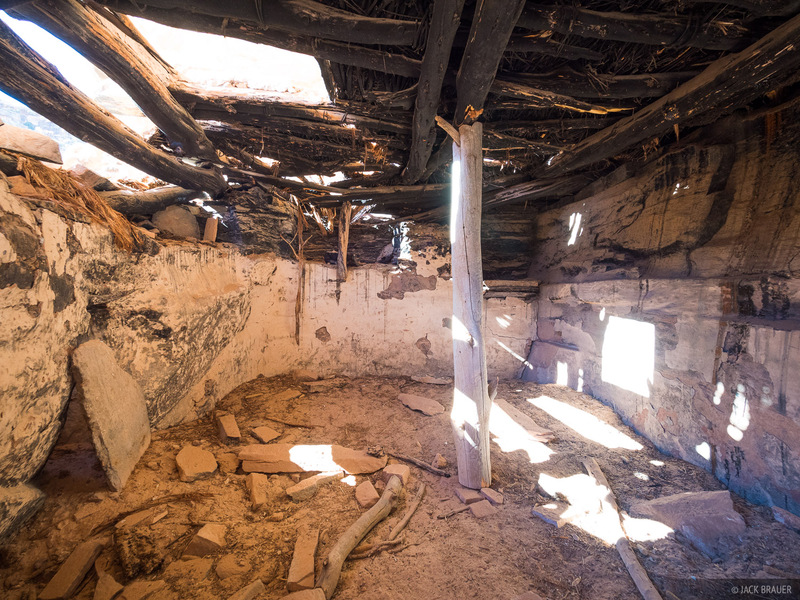 The ruins face continual danger of vandalism, robbery, and degradation by careless visitors, while the mesa itself is under threat by fracking operations which could turn parts of the area into industrial drilling fields. 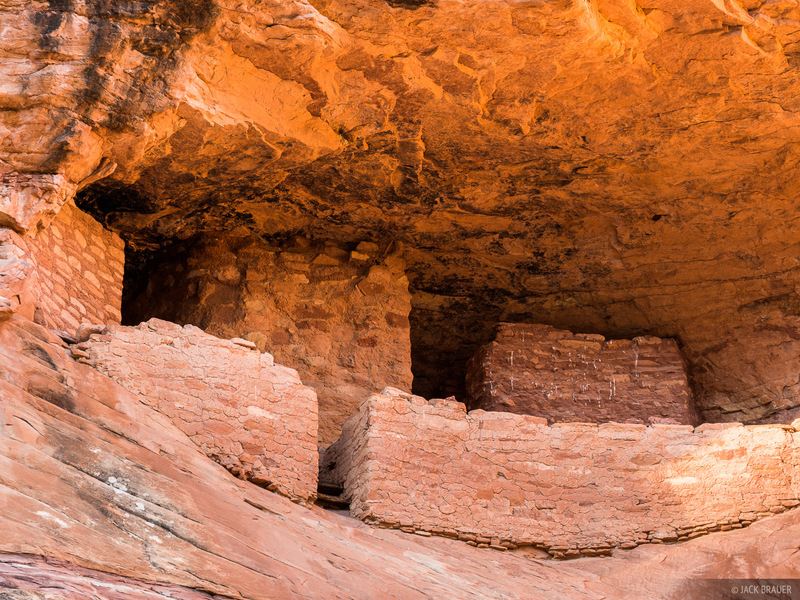 If there is any place in Utah — or the entire West for that matter — that would qualify for monument designation under the Antiquities Act, this would be it! 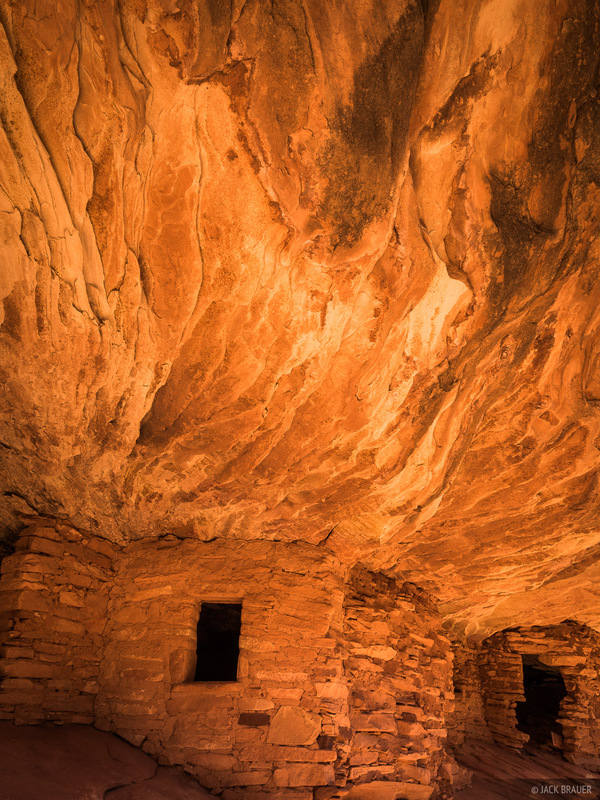 Seems like a no-brainer to me, but earlier this year some no-brain Republican legislators in Utah passed a bill not only opposing additional protections for Cedar Mesa, but declaring livestock grazing and energy extraction as the “highest and best use” for the area! It would be laughable but it’s no laughing matter. Let’s hope that this unique and precious region will soon receive the conservation protection it deserves. ← Previous: "Hiking the Honaker Trail"
Beautiful photography, as usual, and thank you for providing the background. Definitely an area worth protecting! A fine set of images! I esp. 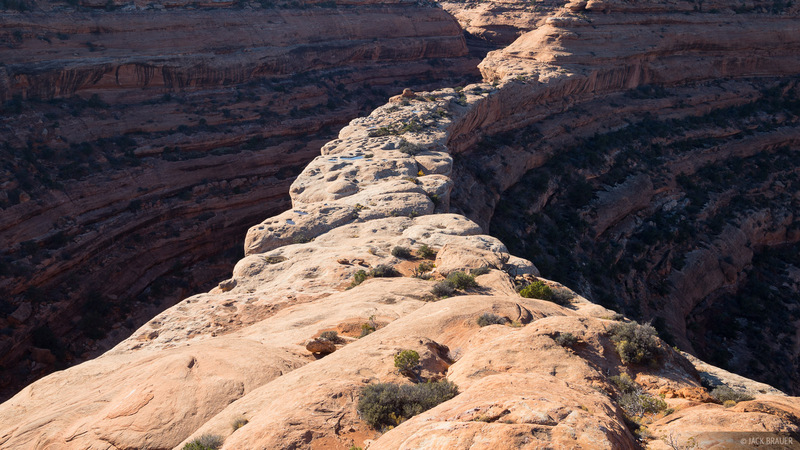 like the narrow sandstone ridge you captured. Perfectly lit with both sides in shadow, highlighting its defensive nature. It appears that various stakeholders in the region (incl. 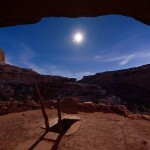 5 Native tribes) have crafted a proposal for a new ‘Bear’s Ears Nat’l. 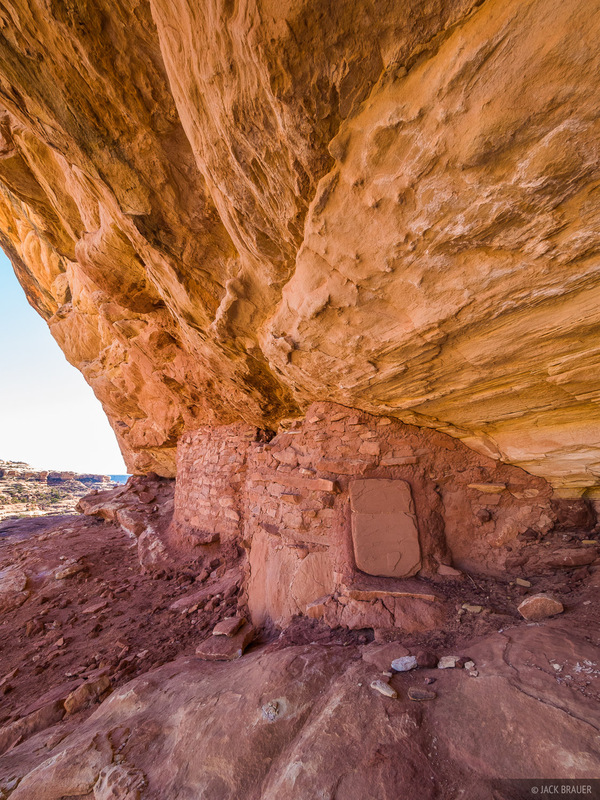 Monument’ that will include Cedar Mesa and much more. This is an optimal way to work, IMO. Speaking of crafting, I think you & Raza did a fine job with Marc A.’s new website! Excellent photos Jack! The first photo is well crafted! The flash lights placed on the windows really add another dimention to the image. Really amazing photos Jack! 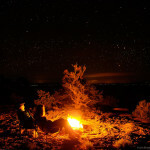 I wish we had things like this to explore in Arizona. Some really awesome shots here! I wished that there was more longterm thinking in keeping those natural leftovers alive by the persons at power.